Remember your first apartment in college? My oh my how things have changed! This past Saturday I decorated the room of a rising Junior at Clemson University. 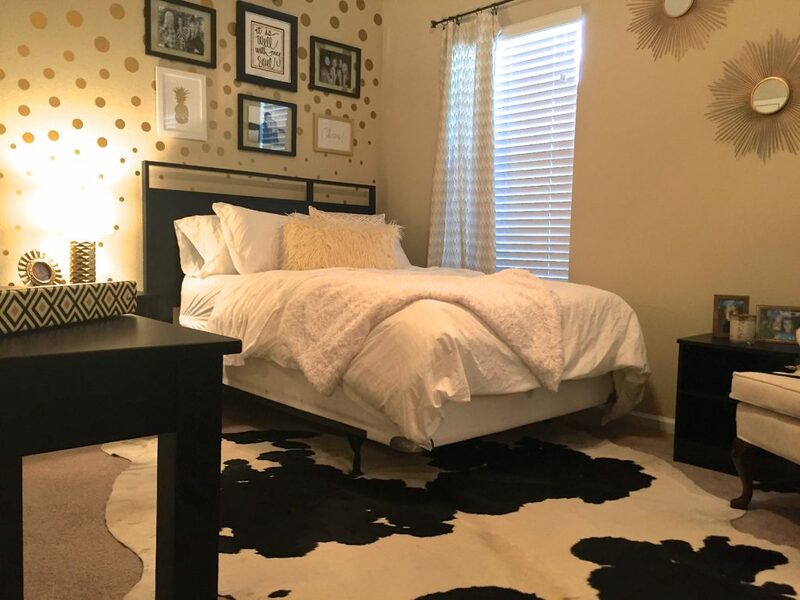 The mission was make the room work with the rented furniture provided by the apartment complex, work within a defined college kid budget, and make it the room of her dreams. Removable vinyl wall clings are often the answer to your college dorm/apartment woes. They give you a lot of bang for your buck, and, if you’re crafty, you can make your own clings. You can make the room your own without putting the forbidden holes in the wall that almost every college warns you about! 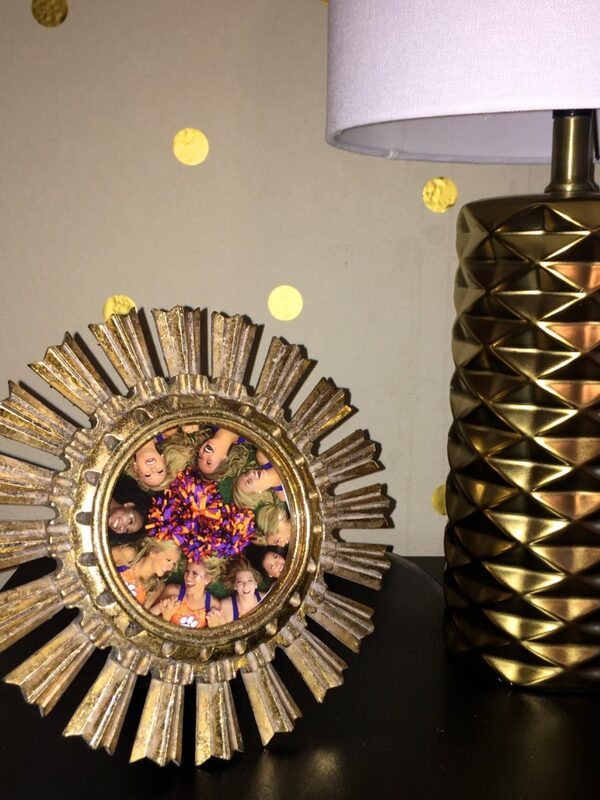 These gold dots we found on ETSY provide decoration without those pesky holes. Did you know they have cute lamps at Walmart? Well they do, and they fit in the budget! We created a wall full of the student’s personal style . 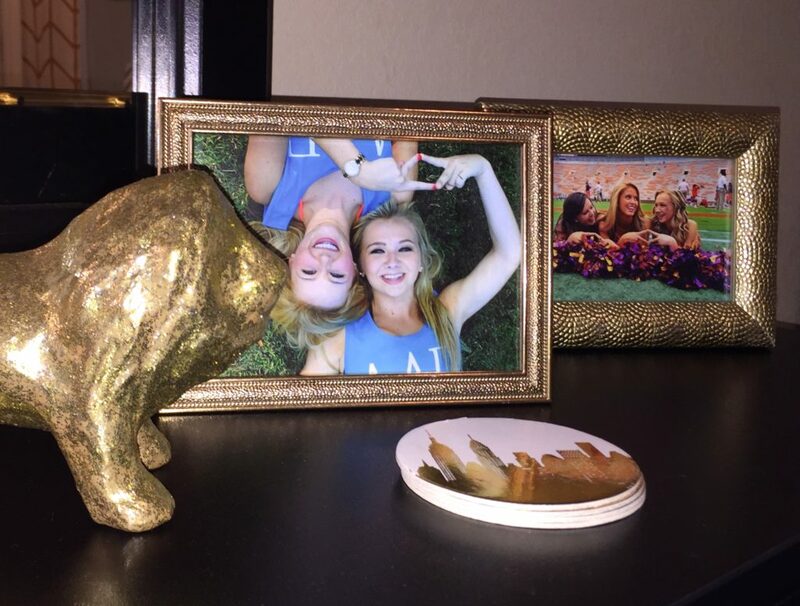 This room has the Midas Touch: gold accents and even the sorority mascot is in gold. How fun is this canvas? The things you can do when you are young! 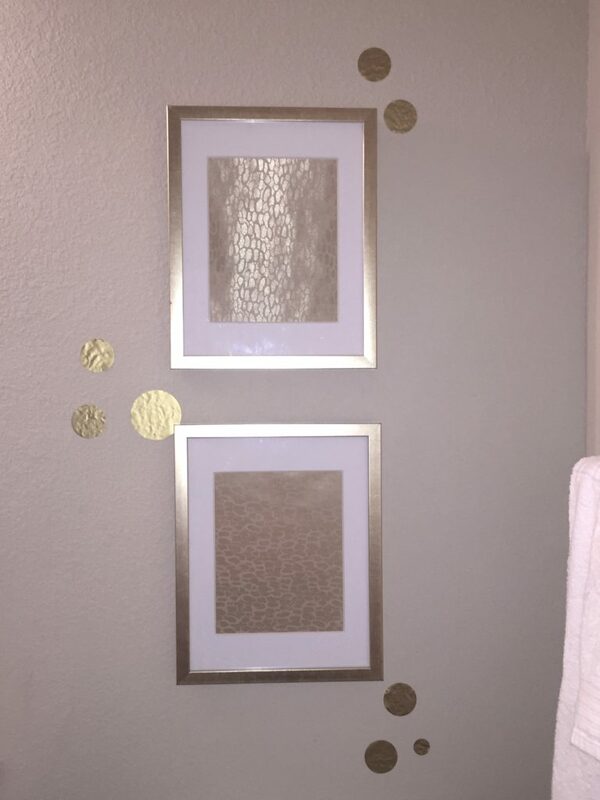 We framed wall paper samples to create inexpensive art. 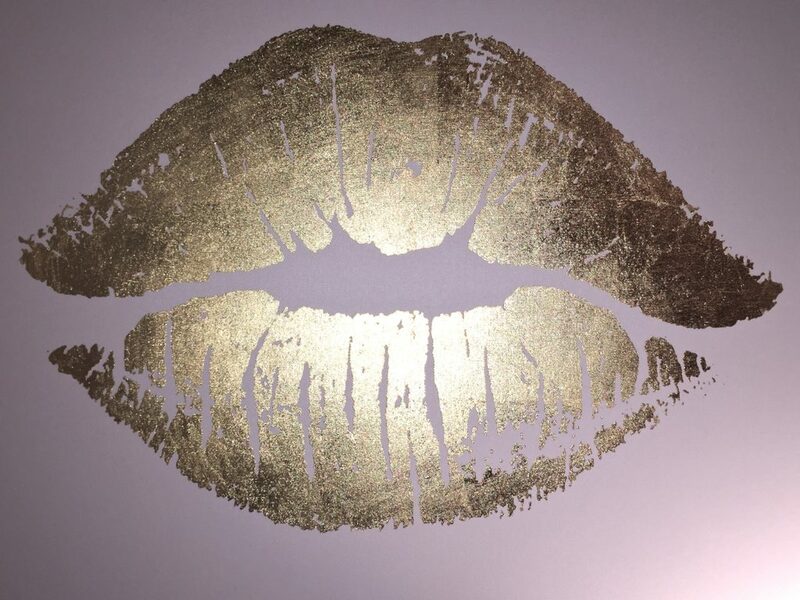 Every room needs that “wow factor,” even your college apartment. In this room we added some bold pop with the accent rug! 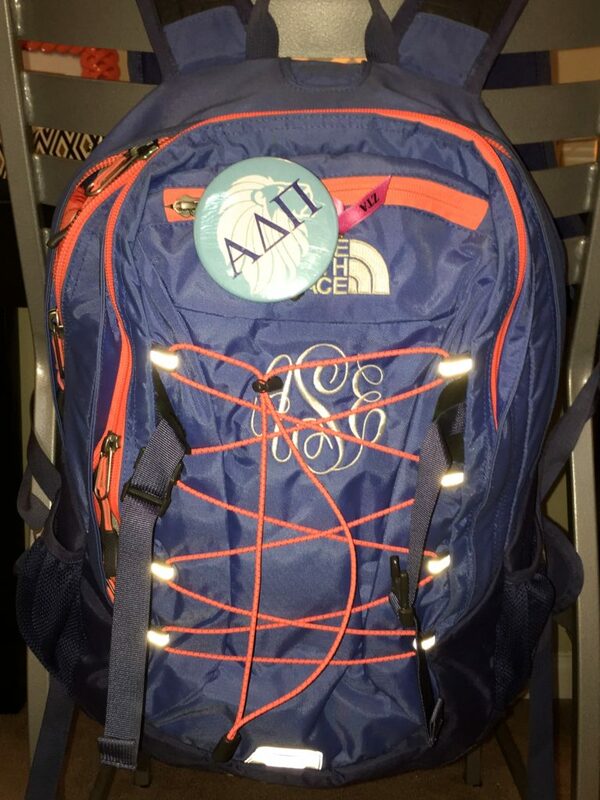 Wishing this college student and all the other students starting school a great school year!